Established in late 2015 by the Association of Southeast Asian Nations (itself founded in 1967), the AEC has been seen as a way to promote economic, political, social and cultural cooperation across the region. The idea was to move South-East Asia towards a globally competitive single market and production base, with a free flow of goods, services, labour, investments and capital across the 10 member states. 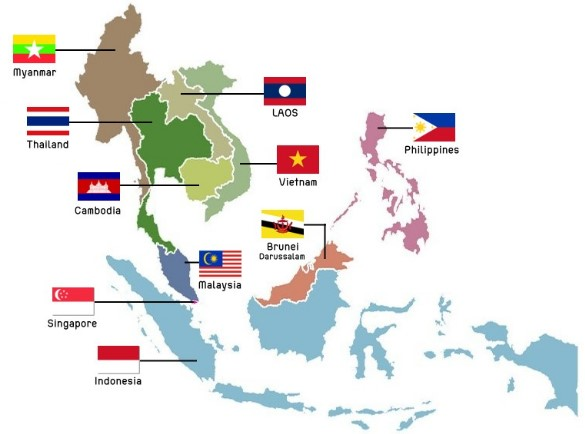 Although working within the confines of the AEC integration timetable has been a struggle for member states, their efforts have paid off: many companies have already approached ASEAN as one region. This has been helped by the ASEAN Single Window (ASW), a regional initiative to allow free movement of goods across borders. But progress is slow: the region can only proceed at the behest of national governments, and with every ASEAN country so different, a common vision can be hard to arrive at. ASEAN is one of the success stories of modern economics. In 2014, the region was the seventh-largest economic power in the world. It was also the third-largest economy in Asia, with a combined GDP of US$2.6 trillion – higher than in India. 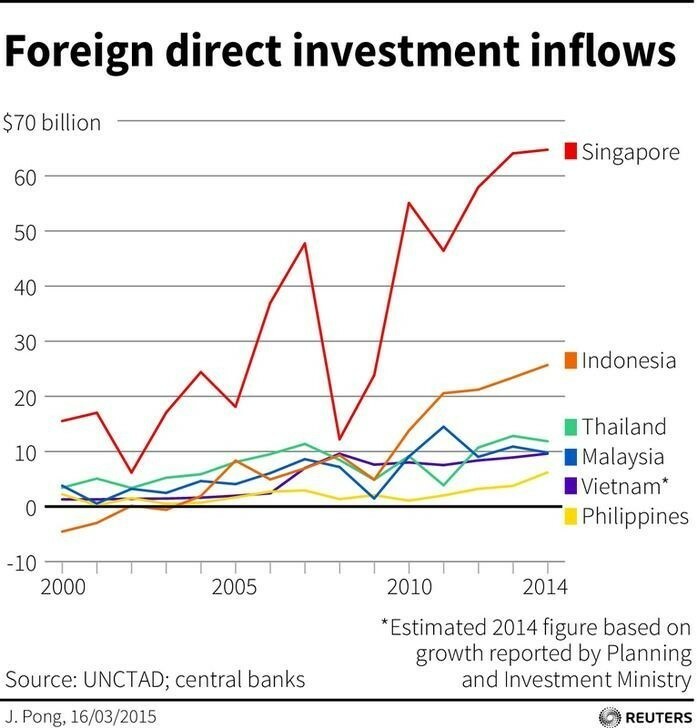 Between 2007 and 2014, ASEAN trade increased by a value of nearly $1 trillion. Most of that (24%) was trade within the region, followed by trade with China (14%), Europe (10%), Japan (9%) and the United States (8%). During the same period, foreign direct investment (FDI) rose from $85 billion to $136 billion, and in share to the world from 5% to 11%. With 622 million people ASEAN is the world’s third largest market , which behind China and India has the third largest labour force. What’s the next steps for AEC? The launch of the AEC needs to mark not the end but the beginning of another dynamic process. ASEAN has to boost intra-regional trade to reduce the vulnerability to external shocks. This requires a common regulatory framework to address infrastructure gaps and the simplification of administrative policies, regulations and rules. Only 50% of ASEAN businesses have utilized tariff reductions set out in the ASEAN’s regional free trade agreement (FTA). And although tariffs are in decline, non-tariff measures – health and safety regulations, licences and quotas – are on the rise and need to be addressed. 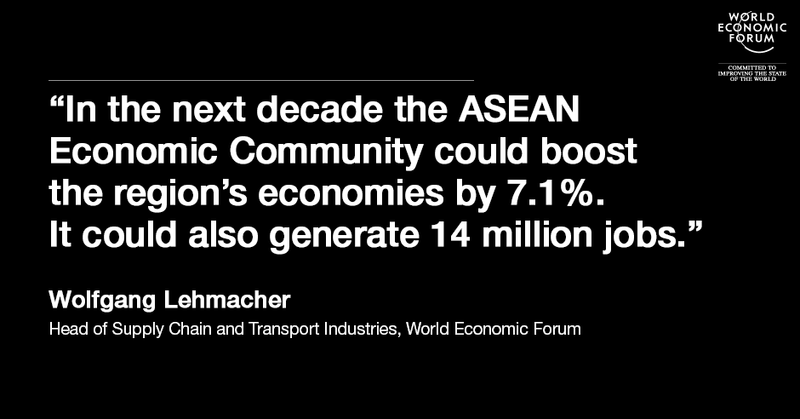 Provided the agreement is well managed over the next decade, the AEC could boost the region’s economies by 7.1% between now and 2025 – which is more than ASEAN’s growth of 5.4% of from 2004 to 2014 . It could also generate 14 million additional jobs, according to a study by the International Labour Organization and Asian Development Bank. How does it affect other trade deals? The AEC is not the region’s only agreement. Three months before the kick-off of the ASEAN Community, four ASEAN countries (Brunei, Malaysia, Singapore and Vietnam) signed up to the Trans-Pacific Partnership (TPP) . Five other countries (Cambodia, Indonesia, Laos, the Philippines and Thailand) are interested in joining. The TPP is a binding agreement, connecting Asian countries to North American and Latin American economies. While countries with high export potential, such as Malaysia and Vietnam, are expected to benefit significantly from TPP, countries that did not sign the agreement risk losing out. This could have a disruptive effect on the region due to trade and investment diversion. Once all agreements are in action, Singapore and Vietnam would be the only two ASEAN countries with access to Europe (via a free trade agreement), the US (through TPP) and Asia (through the AEC and the Regional Comprehensive Economic Partnership ). But it’s not all bad news: ASEAN economies not currently included in the TPP might appreciate a supply chain that reaches beyond their own region through the ASEAN TPP signatories. However, the high standards required by the TPP pose challenges, pressuring members to enhance practices, the quality of production, rules and regulations. Adding to the network of economic regions is China, the world’s second-largest economy and also not part of the TPP, which is in the process of forming its own economic bloc: the Regional Comprehensive Economic Partnership (RCEP) . This will comprise ASEAN, Australia, China, India, Japan, South Korea and New Zealand. What’s the future of the AEC? The situation is not without complexities and uncertainties. Nevertheless, through the entry routes to different blocs, the AEC might eventually unleash significant unforeseen potential for the ASEAN countries – especially once the TPP and RCEP, with approximately 40% and 30% of global GDP respectively, come into force. This article first appeared in the Nikkei Asian Review .